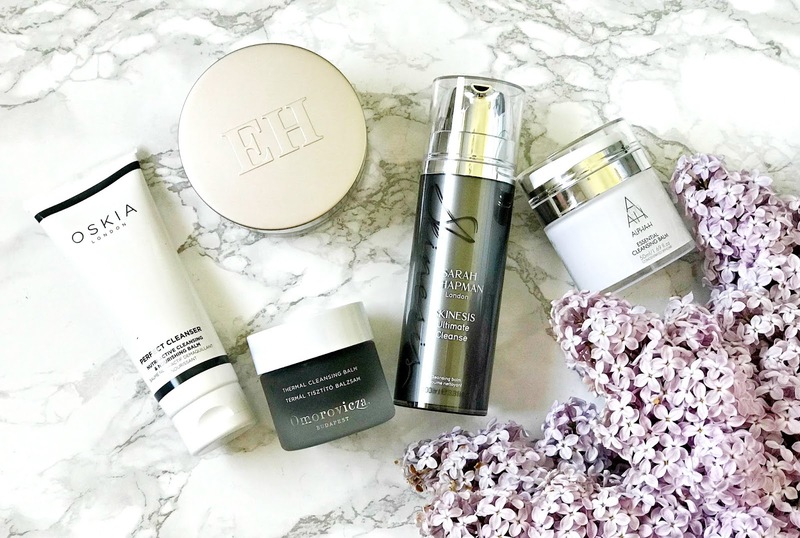 Emma Hardie Amazing Face Moringa Cleansing Balm: The cleansing balm that everyone has heard of and most people have tried - actually, it is probably the product that made cleansing balms popular around 5/6 years ago! I absolutely adore this cleansing balm - everything from the texture to the scent appeals to me on every level. Only a small amount of product is required to cleanse the skin - I personally like to use it as a second cleanse rather than as a makeup remover. The texture makes it easy to massage into the skin and using the double sided cloth that is provided means that the skin gets both a cleanse and exfoliation. I think that this would be suitable for all skin types. Alpha-H Essential Cleansing Balm: The most recent addition to my collection, this balm is an absolute pleasure to use. Packed with skin loving ingredients such as Buckthorn, Rose Hip Oil and Geranium, this balm melts away all traces of makeup if used for a first cleanse but it's also perfect for a second cleanse as it is so nourishing on the skin - it leaves the skin thoroughly cleansed but not at all stripped. One or two pumps are enough to completely cover the face and neck and it melts into the skin so easily - the texture makes massaging the product into the skin an easy task. Suitable for all skin types. Sarah Chapman Ultimate Cleanse: Unlike the previous two balms, this one comes with a pump, which means that the texture is softer than the others to allow it to be dispensed in this way. Packed with omegas, vitamin A, anti-oxidants and essential oils, this cleanser is a real pleasure to use - it is very pliable, easy to massage into the skin and the scent makes me feel like I am at a spa. Neroli, rose and jasmine are just some of the essential oils used so you can imagine how beautiful the scent is, although some skin types don't like essential oils so purchase with caution if that is you. Skin is left feeling soft and plump and looking radiant when this cleanser is used. Oskia Perfect Cleanser: Different from all of the others due to being in a tube, this cleansing balm appears to be quite simple and basic but that's not to disrespect it - it just doesn't look or smell like anything fancy. This is the perfect cleanser for dry or irritated/inflamed skin. It contains Omegas 3 and 6, MSM (read more about that here) and Vitamins A and E, all of which combine to nourish, soothe and repair the skin while cleansing it. Perfect for dry and mature skin. Omorovicza Thermal Cleansing Balm: This is the product that made me fall in love with Omorovicza. This balm deeply cleanses the skin without stripping it at all - skin is left soft, plump and clear. Only a small amount of this is needed and it just melts away all makeup and grime - even stubborn eye makeup disappears when I use this. It is better value when bought as part of The Moor Set, which contains a full size cleansing balm and two generous size minis - a Deep Cleansing Mask and Refining Polisher for £48, whereas the balm, when bought alone is £52. Suitable for all skin types. Have you tried any of these? What's your favourite cleanser type?